Enter your email address below to receive a notification when Worldwide Treats starts accepting new sign-ups! 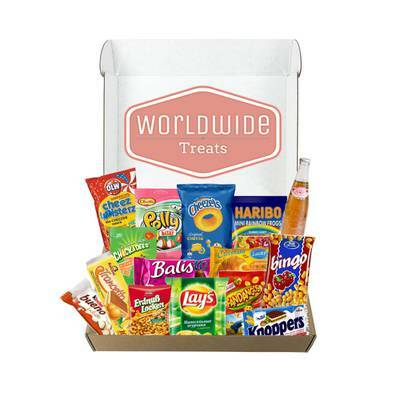 Enter your email address below to receive a notification when Worldwide Treats is accepting new sign-ups again. We ship your Order within 2 Days. If you choose a Subscription, you can tell us when you'd like your future Boxes! And since we're located in Chicago, it only takes 2-Days to deliver to New York and 3-Days to California! Neat, right? Snack boxes full of fun international snacks! Free 1 to 3 day priority shipping! Snacks include: Chips, Candy, Wafers, Biscuits, Gummies and more! This is wonderful box! A Very fun box. Also great costumer service. A great buy!! Good variety of items. We enjoyed our first box. I got my first box two days after I placed the order. So right off the bat I was impressed. Then when getting the box and opening it I was so surprised by how full it was! There wasn't just a couple of snacks but the whole box was FILLED with snacks of different sizes from all over the world. I am loving this box so far and can't wait to get more in the future!! My teen daughter requested a box for her bday and we were not disappointed. Had a fun time as a family finding where each snack was from and sampling them. A great subscription box worth the money and fast shipping. I was worried about some of the reviews on this box, but honestly I’m happy I gave it a try. All the snacks are well packaged nothing is stale. I also liked how you got a mix of savory and sweet snacks! And yes, they do not include a list of where everything is from but I think that’s the fun of it. My boyfriend and I made it kind of an online scavenger hunt to find where everything comes from. Give it a try if you like learning about other culters!! Great variety, but include the contents. They just have a paper that says to look at the packaging of each snack to see where the snack is from. Not all of them say in English. I don't know what several of the items are. Kinda kills the fun of it. Exploration Crate put the effort in. This would be five stars if they would just put in the same effort. I ordered june 28th and recieved my package july 9th. It took a week or better before my box was ready to be shipped, not the day of. The chocolate stuff is melted so i had to stick the box in my fridge for a while. I wish it came with a paper or booklet that stated where each item came from. I had to google some items because some didnt have a "product of" description on them. Otherwise im satisfied. I subscribed for 3 months so i hope my next 2 boxes dont take as long and that the items wont be all melted. 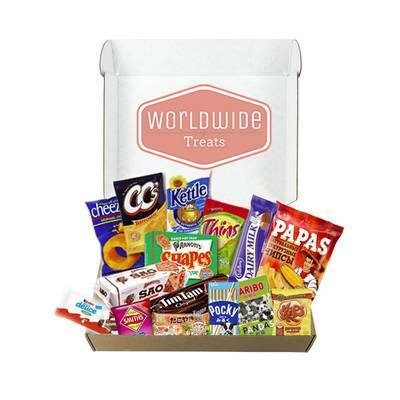 This box of delights is to the brim with sweet and savory treats - an absolute winner! 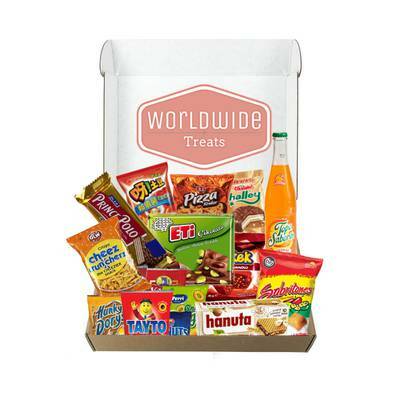 Lots of delicious snacks and drinks, primarily from Europe and Asia but a few from countries in the Middle East as well. Never saw a duplicate item and was overall pretty impressed by the variety and consistent quality. Definitely recommend!